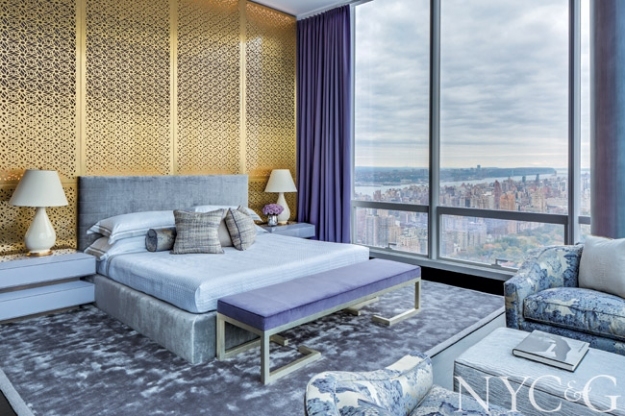 New York’s toniest new address is One57, the already-storied new mixed-use midtown skyscraper designed by top architectural firm Yabu Pushelberg. 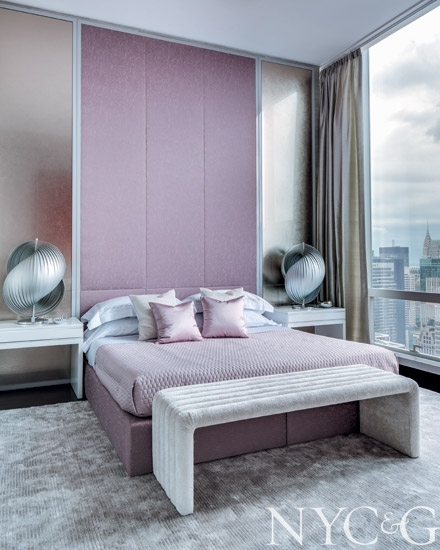 Many years in the making, this ultra-luxe hotel and residential tower is considered to be one of New York’s most prestigious addresses, even as the apartments are still being sold. 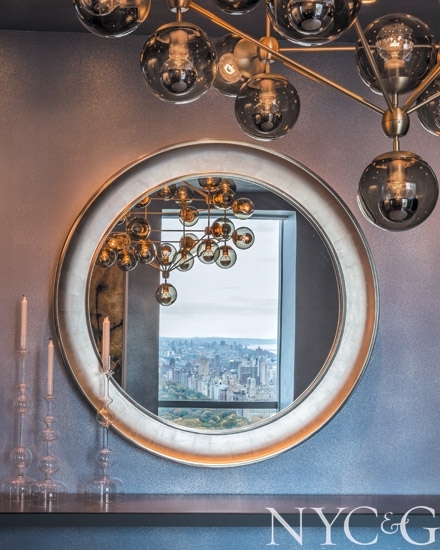 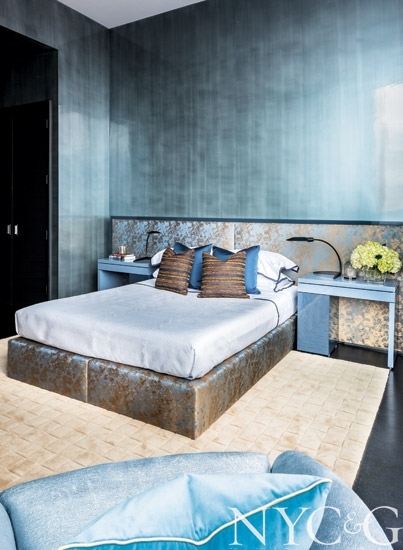 Marks & Tavano Workroom client and designer extraordinaire Jamie Drake was tapped to create the lifestyle experience of One57 by decorating the model apartment. 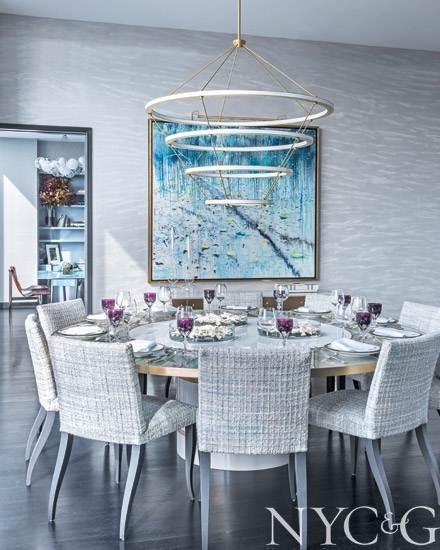 We were thrilled to work on the drapery for this project, to be a teeny tiny part of Manhattan real estate history, thanks to Drake Design Associates. 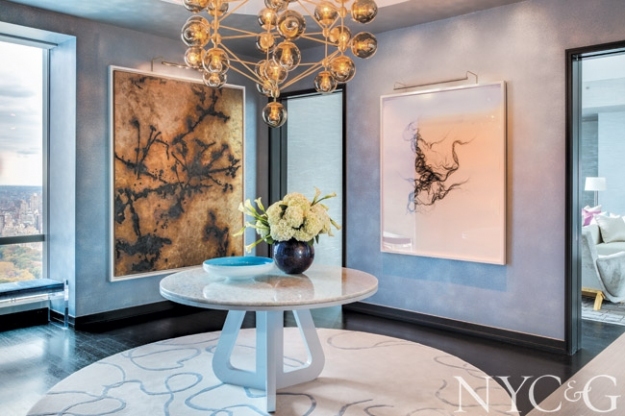 Our friend Kendell Cronstrom of New York Cottages & Gardens recently published the fashion-forward model apartment in his pages. 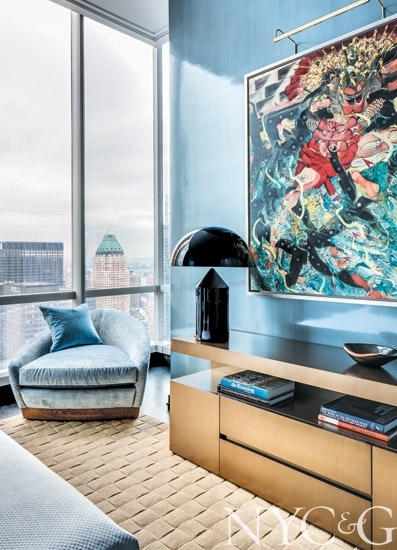 Images by Marco Ricca for NYC&G.